At atelier KOP we believe that people require creative solutions. 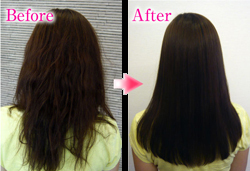 We work with your hair to enhance your natural beauty without damaging it. 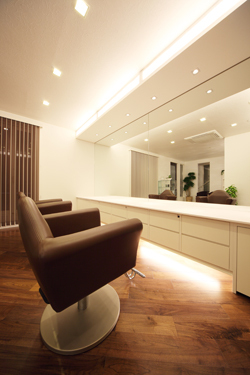 With our hairstyles, we aim to refine your individuality and help you emphasize your own personal style. This is a new way of thinking about style creation, and at our salon we believe in the importance of individuality and uniqueness for fashionable people just like you. We are dedicated to our unique cutting and styling techniques. 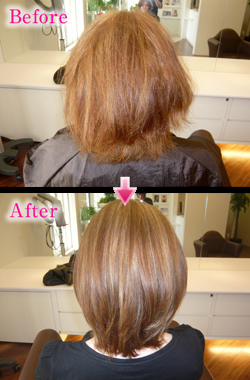 Our stylists are highly trained professionals who will ensure the best possible results. Open from 10 AM to 7 PM. It sees in a big map. 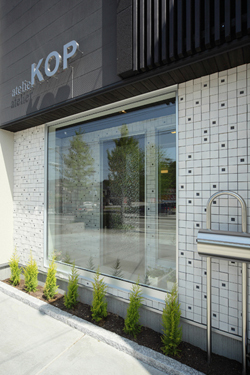 KOP (Kazumasa Okumura Project) also stands for “Kindness, Oasis, Passion”. We attempt to incorporate all of these into our work ethics. 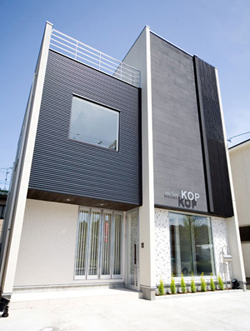 atelier KOP is not simply a “hair salon” but a studio where artists from different spheres can come together freely and work without restraint. The owner, Kazumasa Okumura, has the following aspirations for the project. atelier KOP was born out of the vision to create a base where artists from different fields could unite to form a creative team to bring about a new era of change in Kanazawa, and a location to serve the public as a place of relaxation and fun. placed on top of each other represent “creative, cool” which reflect the idea that our studio is a shared space where people can come and go freely, to develop new and exciting creations to be introduced to the world. 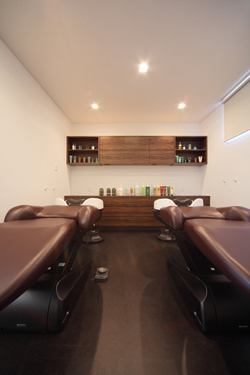 Our relaxation booth has been created to allow you to lie down comfortably while your hair is shampooed and treated. Our shampoo chairs differ from those found in regular salons since they have been specially designed to be comfortable for long periods of use, with particular emphasis on supporting the neck. They have a soft-sofa feel and are so comfortable that you may just… nod off to sleep…! For those customers with hair loss, scalp problems, stress, or for those simply looking for a way to relax, we recommend trying out our relaxation booth. We invite you to wash away the tiredness from your head and heart, and sleep peacefully!